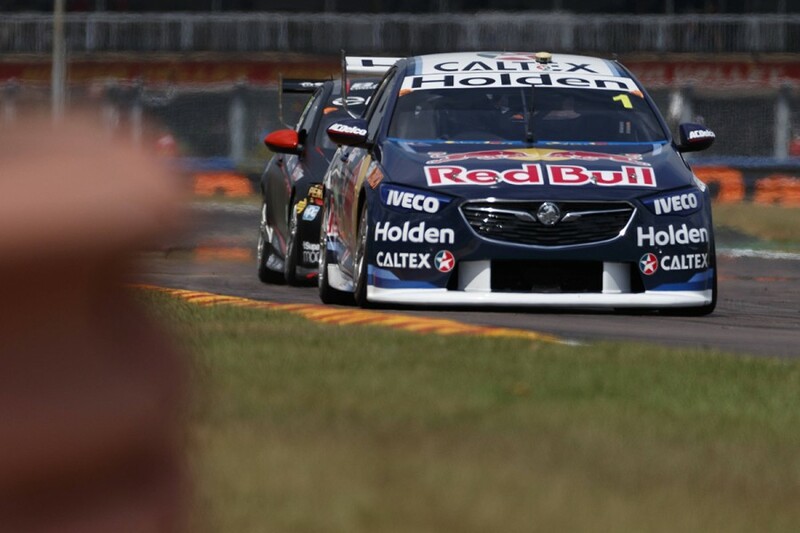 Seven-time Supercars champion Jamie Whincup says his Red Bull Holden was “miles better” at Hidden Valley than at Winton one month earlier. 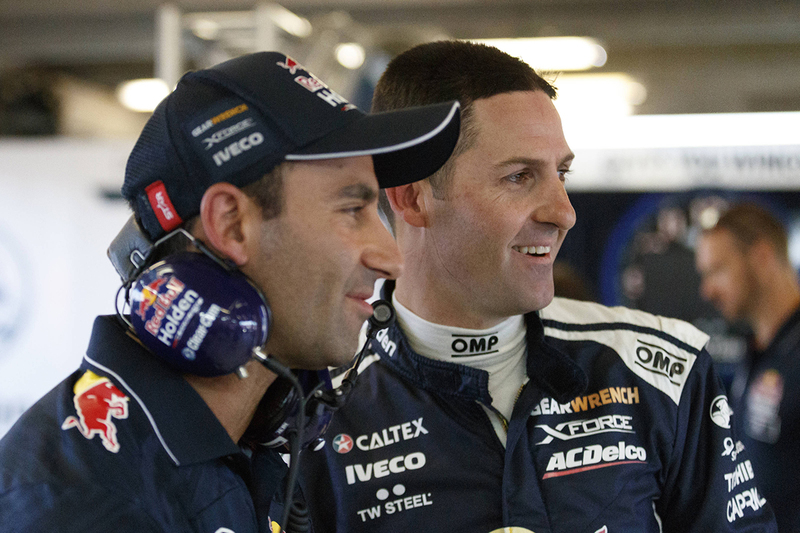 Whincup led the championship after eight races, having taken two wins and six podiums, but fell to fifth through the next phase. Finishes of 17th and eighth at Winton, a combination of a broken front roll bar and an uncharacteristic lack of pace, typified that run of six races without a podium. 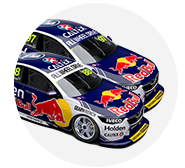 After a key Triple Eight test, Whincup said in Darwin that he was ‘fishing in a different pond’, moving away from a fruitless set-up direction with the new ZB Commodore. He lined up sixth and third and finished eighth and third, Sunday’s podium his first since the Symmons Plains event in April. “My car’s much better, it needs refinement but I'm certainly happier than we were four weeks ago leaving Winton,” he said. “You can't win races without a fast car and we haven't had a good car, and when the car isn't that good you can't attack, you can't race. Asked if the team needed to take risks or change its approach to further improve, Whincup said: “I don’t think the team needs to do anything different. “We’re still Triple Eight Race Engineering, the same team that’s been around 15 years and there’s a lot of strengths there. “Yeah, we haven’t been as quick as we would’ve liked, but we’re miles better than we were a month ago. “We owe it to the whole fanbase that we’re going to battle it out like we always do until the end. 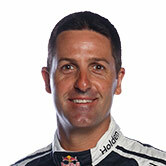 Whincup remains fifth in the standings entering the second half of the season. He did, though, lose another 69 points to leader Scott McLaughlin in the Top End, to trail by 433 heading to Townsville. Conceding he was “not as fast as usual” through the first half, Whincup again opted against ruling himself out of the title fight. “It’s a long way, it’s a lot of points,” he said.